As an employee, you may have received an email asking if you would like to submit some 360 feedback for a colleague. As an admin, you have the option to create a 360 segment within a performance review for employees to answer questions and give feedback on their colleagues. You're able to turn on/off the option for this feedback to be printed anonymously. This allows admins and managers to print off the whole performance review and discuss with the employee, without showing the names of those who gave feedback. 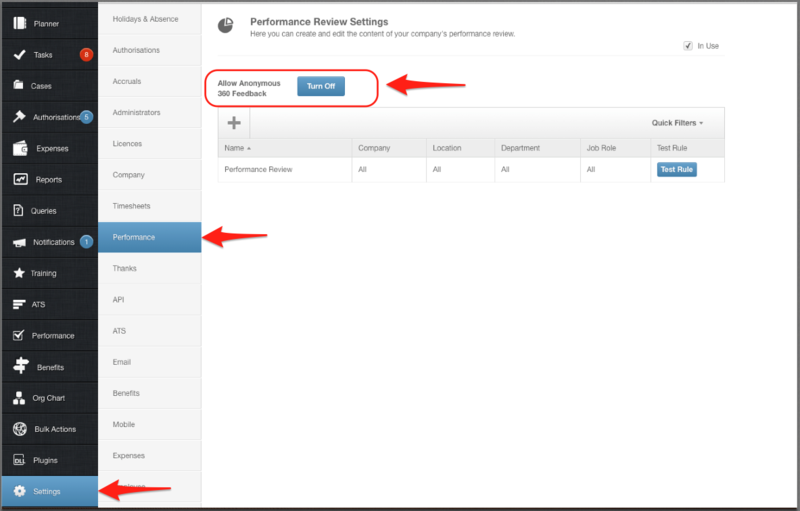 If turned on, 360 feedback will be shown anonymously when admins or managers print the performance review.